The Vue.js 2.0+ popover plugin, a tooltip for displaying messages to the users when they are clicking on certain elements. To see it in action, check the live demo page. You can use .left, .right, .top, & .bottom modifiers to set the position of the popover. That's it! 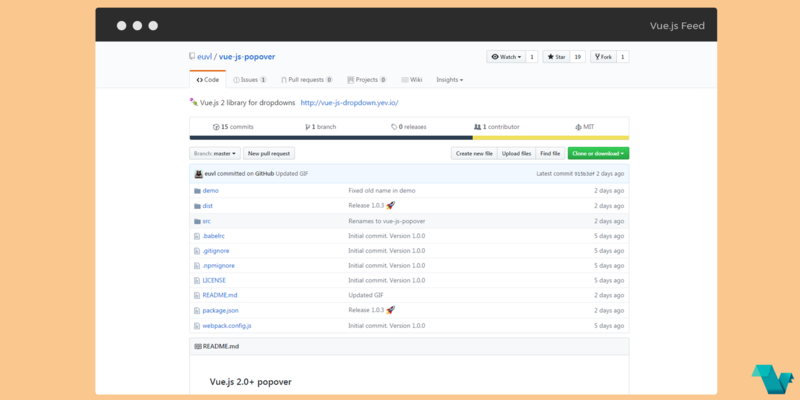 If you would like to take a look at the source code, check the project's repository.